Put your hands together for guest host Jordan Carlos. 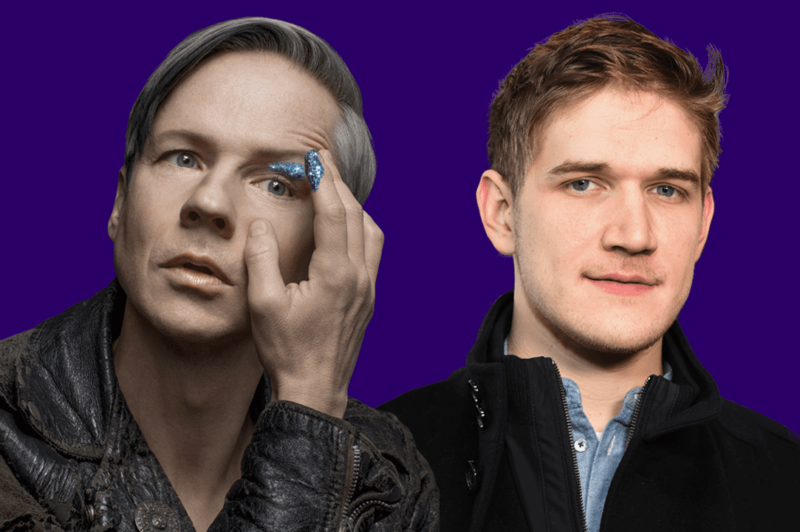 Plus special guests John Cameron Mitchell and Bo Burnham! Jordan Carlos most recently served as a writer and on-air contributor for Comedy Central’s late night series, The Nightly Show with Larry Wilmore. His TV credits include; Friends from College (Netflix), Broad City (Comedy Central), Michael and Michael Have Issues (Comedy Central), The Affair (Showtime), Nurse Jackie (Showtime), and Girls (HBO). If you’re in the New York City area, you can also check out Jordan and Michelle Buteau hosting their hilarious monthly comedy show #ADULTING, where they welcome guests to break down the what, the how, the where and the why #ADULTING is the puberty you opt into. John Cameron Mitchell directed, starred in and wrote (with Stephen Trask) the film Hedwig and the Angry Inch, for which he received the Best Director and Audience Awards at the Sundance Festival and was nominated for a Golden Globe as Best Actor. His recent Broadway production of “Hedwig” garnered him Tony Awards for his performance and for Best Revival of Musical. He also directed Shortbus and acted in HBO’s Girls, HBO’s Vinyl, CBS’s The Good Fight, and Amazon’s Mozart in the Jungle. His film adaptation of Neil Gaiman’s punk-era How to Talk to Girls at Parties will be released on May 25, and his new musical “Anthem” will be released as a long-format narrative podcast series later this year. Bo Burnham is a comedian from Boston, Massachusetts. He has made three, hour-long live comedy specials —”Words, Words, Words,” “what.,” and “Make Happy” — and directed specials for Jerrod Carmichael and Chris Rock. EIGHTH GRADE is his first film, which will be released July 13. In the great tradition of late night, Late Night Whenever features celebrity interviews, hilarious monologues and music from Rob Lewis, producer to stars like Christina Aguilera and Patti LaBelle.